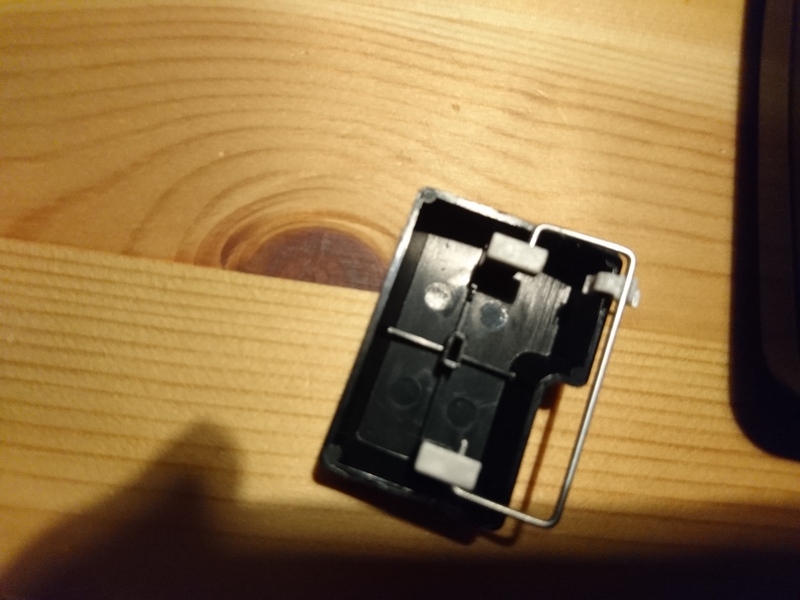 I need some help: what is the standard way to mount ISO enters with Alps stabilizers? If you have an Alps keyboard in ISO layout, you'd really help me out by lifting the keycap and take a picture of the stabilizer and the back of the keycap. Post in the comments. There probably are a few variations... I'd be really interested in a Matias keyboard. I'm trying to make a switch plate for The Endgame Keyboard that works with Alps stabilizers. 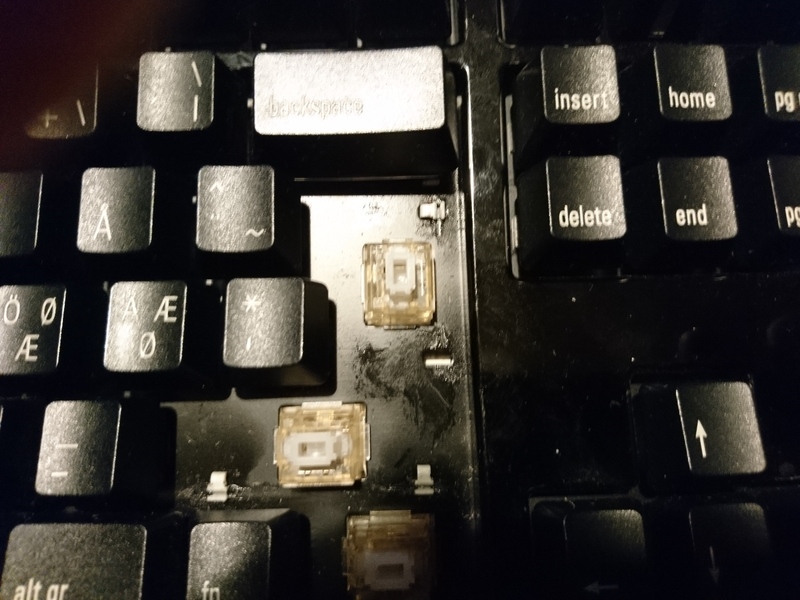 The space bar shall have holes for both Alps and Costar, the two unit keys are simple, but I can't figure the enter key out. Any help will be greatly appreciated! In the picture you can maybe spot the mounting holes for the enter stabilizers. Are they on the wrong side of the switch? I was trying to take picture of the stabiliser on my Matias Tactile Pro in nordic ISO when - in true show of Matias ´quality´- one of the stabilisers came off. After battling for 5 minutes with the slippery over-luber stabiliser, I manged to get it back in and get you a picture of it. ... because I was comparing it to the ISO AEKII. Not the Enter/Return key you want, but it has the same stabiliser. Huh. The 0.25u narrower Apple key does fit the AT102W (with a gap) and vice versa (without the case top). 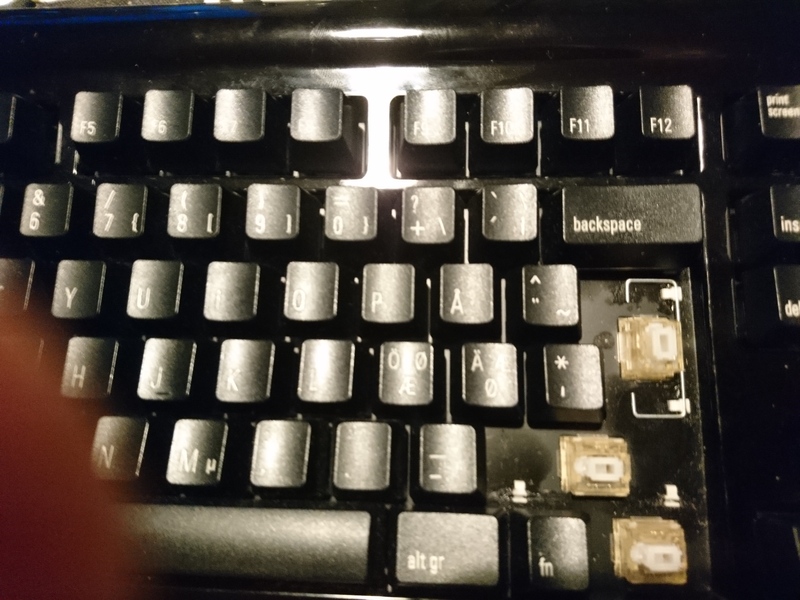 But the Matias and Dell keys are not compatible: although they are the same size and have the same type of stabiliser, the switch position is shifted 0.125u. Besides Matias, Tai-Hao has also made Alps keycaps and Cherry MX/ISO keycaps, but I dunno about Alps/ISO keycaps. Inserts for Costar-style keycap mounts (Cherry MX mounts), allowing you to mount a keycap with Cherry MX mount on the stabiliser to Alps snaps on the plate were shown in another thread recently.